Heat the remaining olive oil in a large frypan over medium-high heat. Add the zucchini and cook for 1-2 minutes, stirring occasionally, until just wilted. 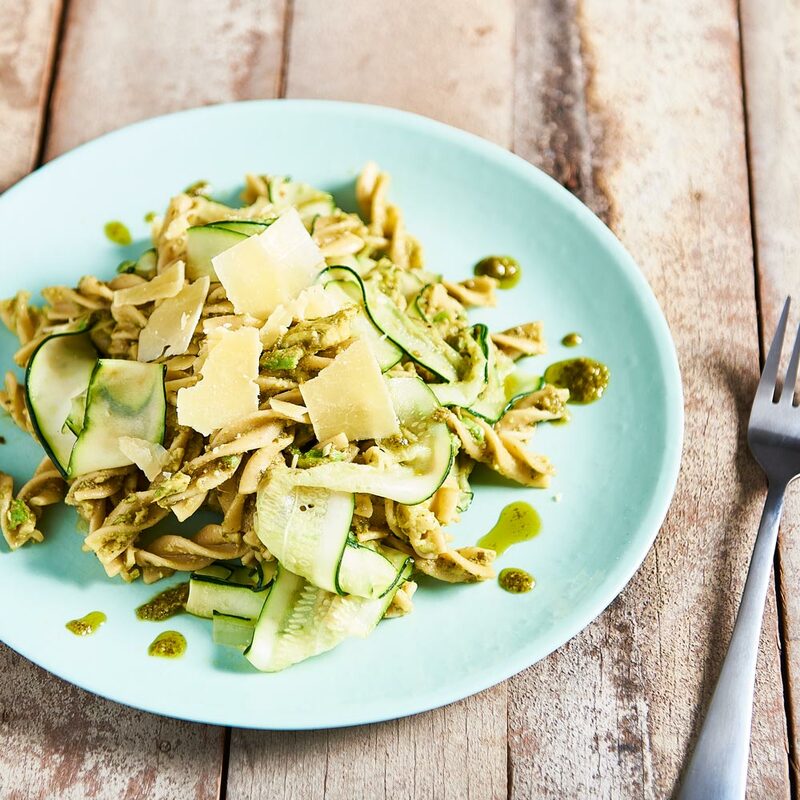 Place the pasta, zucchini, avocado and pesto in a bowl, season to taste with sea salt and freshly ground black pepper, then toss gently to combine. Serve with shaved parmesan and extra cracked pepper (optional).